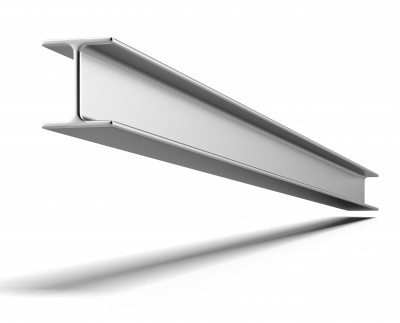 I have been writing about Biblical Girders: those superstructure passages that form the skeleton that holds the Bible together. As well as key passages, we could well add a list of key themes that weave through the canon like ribbons. I did this earlier last year with the 10 Biggest Big Ideas series (click here to go to the first of those posts). 1. Periodically Be Overtly Educational – Perhaps a seminar or evening class or group session where you trace through the superstructure. You will find that there are people in every church that have a genuine appetite to know the Bible better and will want to attend this kind of training if it is done well. You will also find that a false dichotomy between education and devotional spirituality need not be imposed. Take every opportunity, even in a “lecture” to woo people by the gracious work of God in biblical history. 2. Be Alert to the Girders – If you are preaching Genesis 22, Abraham offering up Isaac, be alert to the place of that story in the flow of the narrative. Take the opportunity to help people see it not as a stand-alone incident, but as the culmination of a journey over many decades for Abraham. Include and highlight the importance of Genesis 15 as you preach Genesis 22. When you preach about David and Bathsheba, don’t just look ahead to the fallout in his family life, but also look back to 2Samuel 7 and the amazing covenant God had made with him – highlight the importance of that to your listeners. 3. Preach the Girders – Take a miniseries and help people see the big picture of the Bible. Too many Christians make too many “surprised and helped” comments when they hear a Bible overview. This implies that it is not being offered enough. 4. Preach through Books Without Being “Flat” – When we preach through a book, it is easy to flatten it out into so many segments of equal length and apparently equal value. Instead, look for ways to point toward and back to passages in the book that have a “superstructure status” for the book and the Bible as a whole. Preaching through Habakkuk, don’t let 2:4 get lost in the mix. These last three posts have been really helpful. Thanks. Could you offer some thoughts on tying it all together? I know we don’t want to read New Testament doctrine into the Old Testament passage where it was not originally intended or typified. Yet we must apply timeless Old Testament truths to our people who are living in the New Testament age without robbing them of the fulness and fulfillment of the New Testament. What is the balance? Any resources you’d recommend? Hi David, thanks for this. I tried to address this question in today’s post. It isn’t easy, but I suspect we have to find the balance in each preaching event. I find it helpful to look at OT resources that honour the OT text and what the authors knew to that point, as well as showing where it goes eventually. Walter Kaiser is certainly worth a look on some of these issues.